With his devastatingly handsome, round face, his boyish charm, and his strong, sturdy frame, this Pyongyang-bred heartthrob is every woman’s dream come true. Blessed with an air of power that masks an unmistakable cute, cuddly side, Kim made this newspaper’s editorial board swoon with his impeccable fashion sense, chic short hairstyle, and, of course, that famous smile. The “Brilliant Comrade” sure is giving Channing Tatum a run for his money. Tatum was named People magazine’s “Sexiest Man Alive” of 2012 earlier this week. 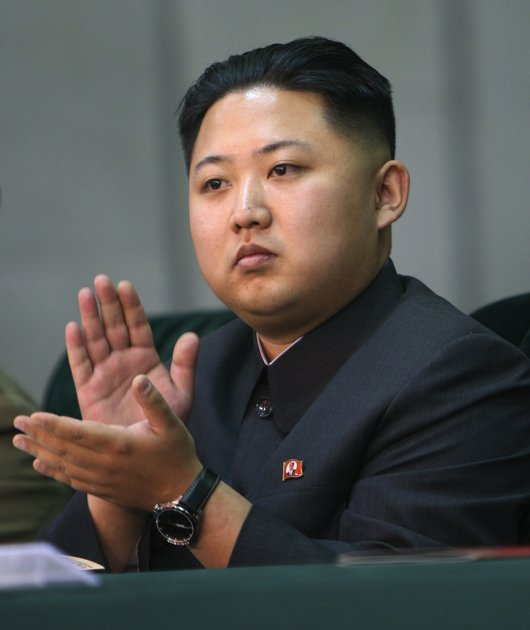 The 29-year-old supreme leader of North Korea is the son of Kim Jong Il and the grandson of Kim Il Sung. He took office in 2011 after the death of his father. According to earlier reports, Kim — in stark contrast to the austere and authoritarian image his predecessors had maintained — has been attempting “to present a cuddlier, more family-friendly image to the world.” He, however, hasn’t always been successful.